Happy 13TH Birthday to my little bro David! Fa what a week! This was definitely an interesting week for sure. Also, it is starting to become a little more difficult for me to write in English, which is a good thing I guess. So hopefully everything makes sense gramatically. 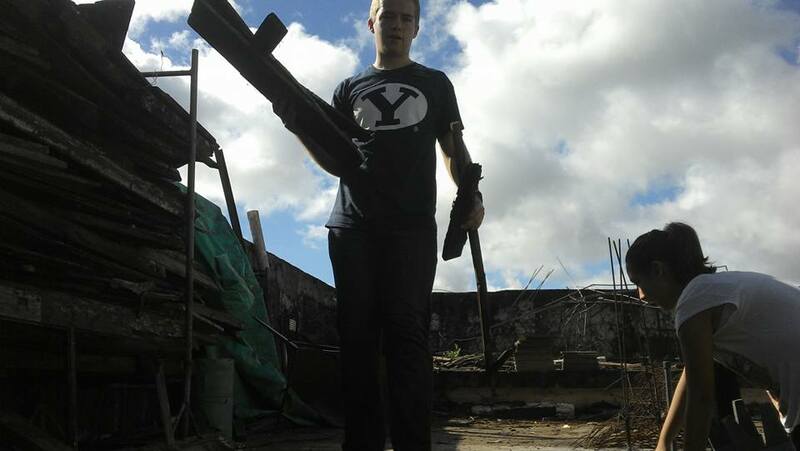 My companion and the companion of Elder Gomez (Elder Mckell) had tramites basically all of this week. Elder Mckell had a problem with his passport and had to go to the U.S: Embassy in Buenos Aires, and Elder Marquez had to go to Santa Fe and then Rosario for tramites with his DNI (it's like your national ID in Argentina). 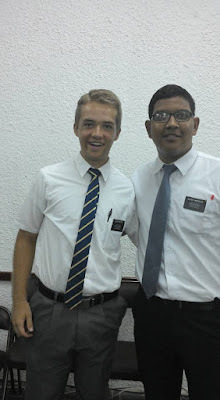 So Elder Gomez and I were in divisiones for almost 4 days (Tuesday to Friday). We had to split time between our areas, and we went back and forth between pensions sleeping and eating. It was a grand adventure jaja. Also, the stake asked Nogoyá to make the ward choir for stake conference in the beginning of June, so they chose me to be the choir director, and I am now learning how to teach singing lessons to Argentines in castellano. It´s super fun. Hna Arrua told me when she heard that they had to do a choir for stake conference, she almost had a heart attack, and that she was going to call Presidente Perez and make sure that I'm not transferred this transfer so that I'm here for stake conference (transfers are the Monday before). She was mostly joking, but it is highly possible that I'll be here for another transfer in Nogoyá. Woot! We are again without any real investigators. The people here are a little hard, because they've all lived their entire lives in the exact same way their whole life, and aren't really looking to change. 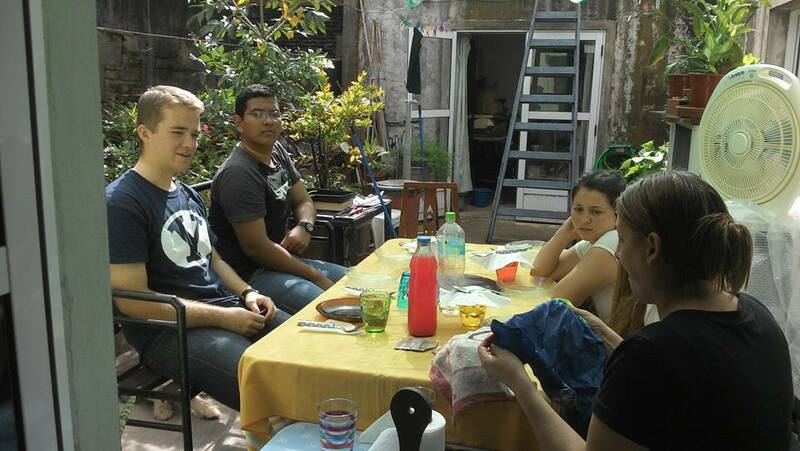 Our two programados heard bad things about the church from a menos activo, and we lost contact with them all week. So this week we have to go find them again and help them resolve their doubts. We will also be doing a lot of contacting and finding this week, so hopefully we will have more people to teach this week. Our bright spot was that we had our very first investigator come to church yesterday! Sonia came without her spouse, and we've been teaching them both, but her spouse couldn't come, as he had some things to do. But Sonia came and it was fantastic! There is nothing better than seeing an investigator keep a commitment. It makes us as missionaries super happy. However, we are passing that couple to the hermanas, as they recently moved into their area. My companion and I joke with the hermanas that we do all the finding and they do all the teaching, since we have already passed multiple investigators to them for various reasons. 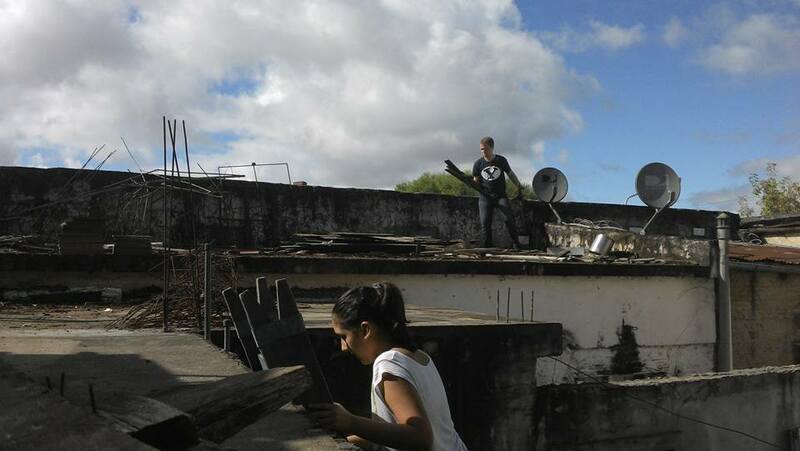 Other exciting things from the week: We have been helping the Arrua this week with cleaning their roof, as there was a bunch of old wood and iron. It was a great time, and I felt like one of the chimney sweeps from Mary Poppins, because people go on their roofs all the time in Argentina, so Hno Arrua was just chatting with his neighbors across the way who were on their roof as well. It was great fun. We also all received flu shots this week! Hna Perez told all the missionaries that they need to get flu shots, so we went to Victoria on Friday and all got vaccinated. This week I am learning yet again how vitally important it is to be humble. Without humility, we cannot change and we cannot improve. If we have any bit of pride, that pride will always inhibit our growth because it will always tell us that we are already good enough. That is why the scriptures calll pride the great stumbling block. I believe that pride truly is our greatest enemy, as it inhibits our ability to use the Atonement. Without humility, we cannot repent, we cannot improve, we cannot progress, and we cannot be saved. Humility is key to salvation. Helping on the roof with the Arrura's.